This week we have a review of Halloween Murder by Leslie Meier, perfect for your Halloween reading! We also have a fun Halloween guest post by Leslie. Details at the end of this post on how to enter to win a copy of Halloween Murder, a link to purchase it from Amazon, and an indie bookstore where a portion of the sale goes to help support KRL. Lucy Stone, a young wife and mother, juggles motherhood, her home, husband, and a part a part time job at the weekly newspaper, with a bit of crime solving on the side. Trick or Treat Murder is the first of the two books in this volume. It takes place when Lucy’s family is young, Zoe, just a baby. A series of fires, small at first, in deserted buildings, escalates and proves to be arson. The last fire claims a life and that changes everything. Since the fire is arson and it’s assumed to be part of the pattern of the other fires, the question is, was the death targeted or incidental to the fire? After all, some houses are only occupied during the summer months. Winter in Maine can be too cold and snowy for some residents. As Lucy hears more rumors, a few thoughts on who might be behind the killing fires comes to mind, but will she figure out the culprit before she is the next target? Wicked Witch Murder is the second half of the book. Diana Ravenscroft is a witch. She has a store where she sells all-natural products and provides information about Wiccan practices. The teens in town are particularly taken with the idea of casting spells, but their parents are against it. When Lucy finds a dead body in the woods while walking her dog, it’s not just a Halloween prank. Things get more complicated when Lucy’s own girls want to cast spells. Diana ends up spending a few days at Lucy’s house after her shop is vandalized and Diana suffers from a bad case of poison ivy. Lucy hates to say no, but will saying yes make her family a target by the witch haters? In this section of the book, Lucy’s kids are older than in the first section. Both books were previously published separately. If you want to get in a spooky mood, reading about carving pumpkins, baking twelve dozen cupcakes, and organizing a community party will be a big help. There are twenty-nine books in the series. Lucy and her family grow and mature more with each book as Lucy and her husband face the prospect of becoming empty-nesters. It will be interesting to see how Lucy adjusts to that. Look for recipes for witch’s brew complete with icy hands to chill it, witch’s cauldron punch, and beastly bug cookies at the back of the book. Lucy’s advice? Don’t agree to make twelve dozen cupcakes! Spooky is one of my three-year-old granddaughter’s favorite words. She doesn’t just say “spooky,” she emotes it, dragging out the ooh sound: “Spoo-oo-ky,” and makes her eyes very big. It’s adorable. And in her house, Halloween isn’t only an October phenomenon, Halloween videos and books are family favorites all year round. When I was a kid, a long time ago, Halloween wasn’t the big deal it is these days. My family lived in a six-story pre-war apartment building in the Bronx, and my sister and I were only allowed to go trick-or-treating in our building. Costumes were pretty much limited to gypsy or hobo, since those could be contrived from stuff we already had; there were no bought costumes. We could rummage in my mother’s scarf drawer and jewelry box to turn ourselves into a gypsy girl, or put on one of my father’s plaid flannel shirts, adding an eyebrow-pencil mustache, to become a hobo. One year I went as a beatnik, wearing black tights and an over-sized gray sweat shirt that belonged to my father, and it was a big hit. Sometimes one of the neighbors would host a Halloween party for the kids in the building, which was pretty much limited to bobbing for apples and playing musical chairs to Dracula music. Refreshments were apple cider and donuts. Looking back, these were certainly simpler times. 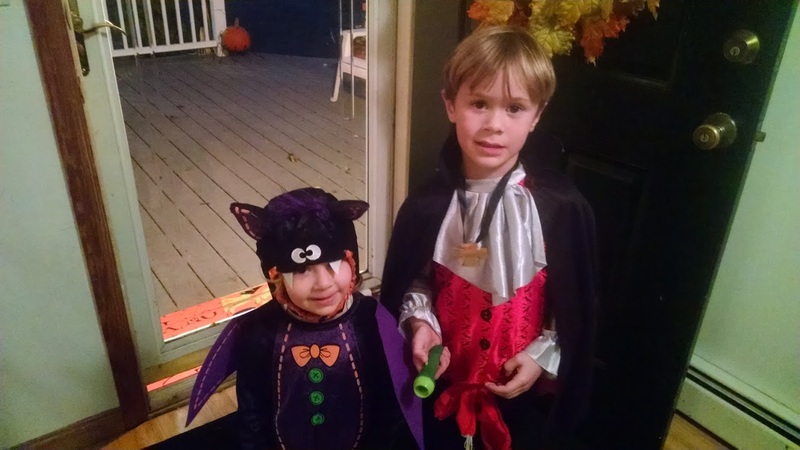 When I was a young mother, we lived in an antique farm house in a small town on Cape Cod and trick-or-treating was definitely an outdoor event. The neighborhood kids would gather in a group, accompanied by dogs and parents with flashlights, and would go from house to house, skipping the ones that didn’t have any outside lights on. The people across the street from us, the Whitcomb’s, were known for giving out full-size candy bars, and their house was especially popular. One year another neighbor gave a grown-up Halloween party, which was a first for me. I don’t remember my costume, but I do remember my host’s costume. George was a very large man, well over six feet tall and definitely not thin, and he dressed as a giant bumble bee in a black leotard with stripes of yellow crepe paper, complete with stinger on his tail and jiggling antennae. It was truly an unforgettable sight. That was the beginning of the grown-up Halloween celebrations that are so popular now, with pop-up stores selling elaborate and expensive costumes. I’m always amazed at the large number of Halloween decorations available in drugstores and craft stores, and the effort that some people put into adorning their houses. Some home-owners in the Boston suburbs, where I now live, even hire professional decorators to construct elaborate outdoor arrangements of pumpkins, while others go for large inflatables. None of that is for me, I’m a traditionalist. We put the grandkids to work raking leaves and stuffing them into a couple of orange plastic bags printed with Jack o’ lantern faces, and that’s about it for the outside of the house. I have to admit to a fairly large collection of Day of the Dead figures, and I put those out, supplemented with a few bought items like candles and seasonal dish towels. All for the grandkids, right? 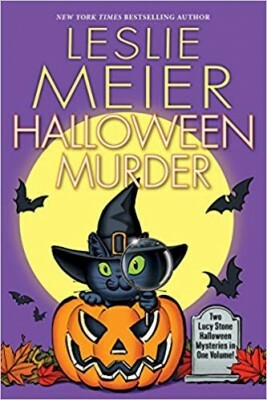 I indulge my Halloween spirit in my Halloween mysteries (Candy Corn Murder and just published Halloween Murder which contains both Wicked Witch Murder and Trick or Treat Murder) where I can let my imagination run wild. Halloween is lots of fun in my ideal Maine village of Tinker’s Cove, where there are giant pumpkin contests, real live witches, and plenty of spooky goings-on. No costume is required to curl up with a Halloween mystery, a friendly cat, and a mug of mulled cider! To enter to win a copy of Halloween Murder, simply email KRL at krlcontests@gmail[dot]com by replacing the [dot] with a period, and with the subject line “halloween murder,” or comment on this article. A winner will be chosen October 13, 2018. U.S. residents only. If entering via email please include your mailing address (so if you win we can get the book sent right out to you), and if via comment please include your email address. You can read our privacy statement here if you like. Check out other mystery articles, reviews, book giveaways & mystery short stories in our mystery section. And join our mystery Facebook group to keep up with everything mystery we post, and have a chance at some extra giveaways. Be sure to check out our new mystery podcast too with mystery short stories, and first chapters-the latest one features Cleo Coyle’s first Haunted Bookshop Mystery. 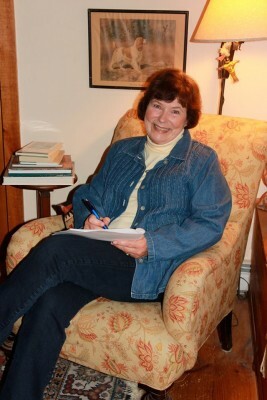 Leslie Meier is the author of more than twenty-five books in the Lucy Stone Mystery Series, published by Kensington. The books feature sleuth Lucy Stone, a part-time reporter and busy mother of four, who lives in the coastal town of Tinker’s Cove, Maine. The books are loosely based on Leslie’s own experiences as a mother and journalist. Leslie and her husband spend weekdays in Braintree, Massachusetts, where they provide after-school child care for two grandchildren, and weekends at their home in Harwich, Massachusetts. I really love Lesie Meier’s books — thought I had read them all but, this one skipped my to read list! Hope I win – thanks for offering! I have read almost all of the Lucy Stone books. I like how the family has grown up in them. It keeps the series feeling real. I Love Leslie Meiers books! I’ve read most of them and love her series books! I know that this will be as remarkable as all of her others! She catches me in the beginning and holds me until the very last word! Halloween is my favorite holiday. Love decorating for it & making costumes. Store bought is cheating! And, any excuse to be surrounded by chocolate ! Thanks for the chance to win. This is a series I’m actually familiar with, but I don’t believe I’ve read. Great series! Would really like to read more about Lucy Stone. Love her books! Halloween reads are such fun – thanks.